That’s right …. 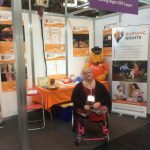 Burning Nights CRPS Support will be exhibiting at NAIDEX 2016 at the NEC in Birmingham! Due to our great success at this year’s IIC disability show, we decided that it was important to exhibit at NAIDEX 2016 as well. 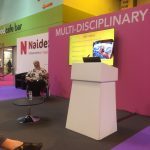 NAIDEX is a great exhibition for healthcare professionals, disabled people and traders showing their latest product ranges. 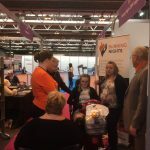 This year’s NAIDEX will be between Tuesday 26 – Thursday 28th April 2016, however Tuesday 26th April is just for trade and healthcare professionals. So why not come along and meet some of the Burning Nights team?! You can find us on STAND C23! Burning Nights founder, Victoria Abbott-Fleming, has also been asked to give a presentation on ‘Life with severe Complex Regional Pain Syndrome (CRPS).’ If you want to come and listen to Victoria, she will be speaking at 1pm on Thursday 28 April. Thanks to all the Burning Nights team who came along to the Naidex exhibition to help deal with the hundreds of people visiting our stand over the 3 days. 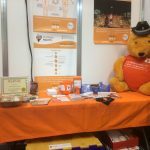 Overall it was a great success and we were raising awareness of CRPS not only in the public but also amongst various healthcare professional sectors. If you are interested in organising a seminar or CRPS awareness training for your staff please EMAIL US and let us know! Did you miss hearing our founder, Victoria Abbott-Fleming, speaking at Naidex about her life with severe Complex Regional Pain Syndrome (CRPS), why not watch our 10 minute video showing you the highlights of her speech? Interested in learning more about CRPS or about our charity? Come along to Naidex 2017 and meet some of the Burning Nights team on our stand!